SARA is overseen by a national council and administered by the four regional higher education compacts, MHEC, NEBHE, SREB and WICHE. In 2010, the U.S. Department of Education articulated that each state is responsible for authorizing education offered to its residents from institutions outside the state. This reminder of state law had major implications: institutions of higher education would have to continue expensive and time-consuming processes to request authorizations for each state. And states faced the prospect of requests from thousands of institutions. SREB’s Electronic Campus already allowed sharing among members in its region. Beginning in 1998, SREB helped states and institutions work together to develop the agreement underpinning the Electronic Campus. 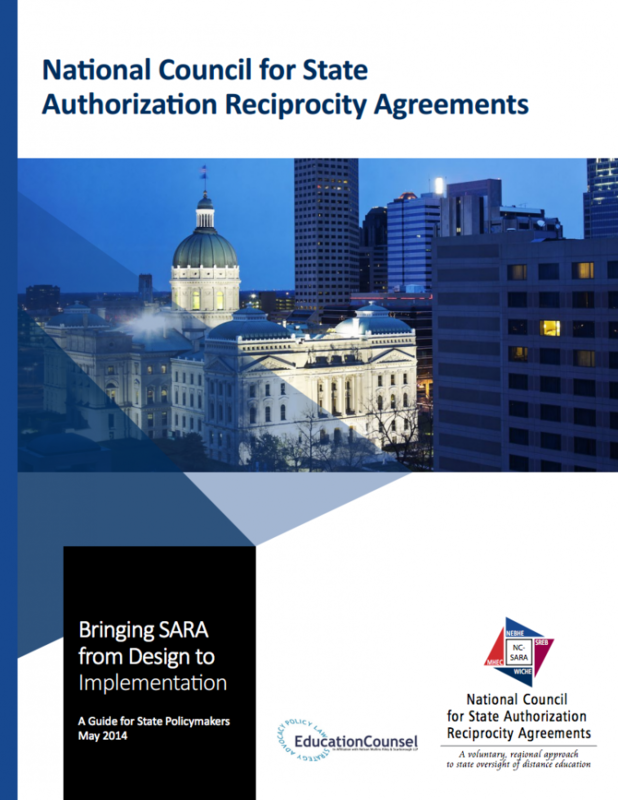 This existing reciprocal process for reviewing and approving offerings from other states — the SREB Electronic Regional Reciprocity Agreement, or SECRRA — is a model for the nationwide SARA. SREB will build off its long experience with Electronic Campus reciprocity to help its states with the new nationwide process. SREB’s Electronic Campus, a regional system for sharing online college courses and programs, has helped lay the groundwork for a national agreement to address new regulatory requirements. SREB was the only one of the nation’s four regional education compacts that had a longstanding, effective reciprocal arrangement in place among member states for online degrees and courses. Since its inception in 1998, SREB’s Electronic Campus gave colleges and universities in the SREB region the opportunity to participate in an electronic marketplace that now includes more than 40,000 online courses, plus 5,300 degree programs. This growth has boosted development of distance education courses and programs and greatly expanded education access to citizens of the region, nation and world. SREB’s Electronic Campus was a model for states and other educational entities developing collaborative online programming. In addition, its database structures for courses and programs were widely adopted or used as a building block for the crucial information prospective students need to make academic decisions. A central and fundamental aspect of the original guiding principles of the EC, established and adopted by SREB member states in 1998, was establishing procedures that would allow colleges and universities to operate freely without additional state approval/authorization in other member states. SREB’s Electronic Regional Reciprocity Agreement (SECRRA) allowed institutions that offer courses and programs that have been reviewed and approved by the institution’s home state, and listed in the EC, to be recognized to deliver online offerings in other SREB states. There were restrictions: the institution had to be a not-for-profit, regionally accredited and chartered in one of the SREB states. SECRRA worked well, and SREB states and institutions were very supportive of the arrangement. The regional reciprocity agreement associated with SREB’s Electronic Campus Regional Reciprocity Agreement (SECRRA) dissolved June 30, 2017. Courses and programs that students completed by June 30, 2017, from those offered through SECRRA, as listed on the Electronic Campus, benefited from the reciprocity agreement of SECRRA. As postsecondary education has evolved and distance education has grown rapidly, the role of the state in assuring consumer protection has come under particular scrutiny. The issue: What state is responsible when an institution physically located in one state — the traditional criteria for state oversight — offers education to residents of other states? To clarify the federal government’s understanding of state responsibilities, in October 2010 the U.S. Department of Education issued regulations indicating that, consistent with existing federal law, states were responsible for all education offered to residents within their state boundaries, regardless of where this education originated. This regulation applied to all types of postsecondary education for which students qualified for federal student assistance, regardless of the sector or level of higher education. While this was consistent with existing law, it was counter to the way in which many states were overseeing education. Few states were overseeing or even aware of the substantial amount of education being provided to residents within their boundaries by institutions from other states. This clarification of federal expectations had major implications for postsecondary institutions and states. Existing state regulations called for each institution offering education in other states to demonstrate that it had approval to serve students in those other states. With the expansion of distance education (via Internet or telecommunications for example), institutions increasingly served students from other states. While some institutions had sought and received such authorizations, in many cases at substantial expense, most had not. SREB’s online education leaders believe the federal expectation of a strong state role in authorization is appropriate. However, institutions would incur the costs of securing and maintaining such approvals to operate and the substantial time and effort in securing such authorizations. In some cases, access for students to quality higher education was eliminated if their institution decided not to incur the cost of complying. States also faced substantial new expectations, with the potential of thousands of institutions requesting approval from all states, well exceeding the management capacity of current state authorization agencies. The state authorization process for institutions is both time-consuming and expensive: the application processes, application fees and physical-presence definitions are not consistent. Institutions would have to make costly applications to multiple states. Given the state-to-state differences in authorization, personnel at many institutions were concerned about how to proceed. SREB reached out to institutions in the region to remind them of state authorization requirements and provided resources to begin the authorization process. Several higher education organizations engaged in an effort to develop a national reciprocity agreement to address the challenges of state authorization. The result of this discussion was the Findings, Principals and Recommendations of the State Authorization Reciprocity Agreement (SARA). SARA requires each participating accredited, degree-granting institution to be authorized by its home state and eliminates the need for it to obtain individual approvals in all of the states where they serve students. SARA can, over time, make state authorization policy and regulatory mechanisms more consistent across the states, regions and the nation. among nationally recognized accreditors, the federal government and the states. This three-way collaboration has traditionally worked well to assure reasonable quality, accountability and consumer protection. Consistent with their collaborative missions to expand educational opportunity within their regions, the four regional higher education interstate compacts are uniquely positioned to assist on this issue. 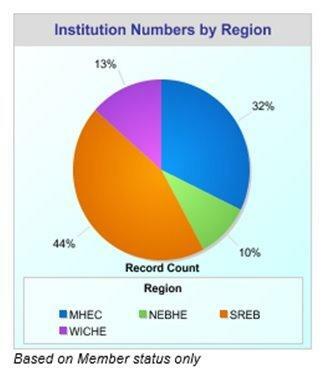 In addition to SREB, the compacts include the Midwestern Higher Education Compact (MHEC), the New England Board of Higher Education (NEBHE) and the Western Interstate Commission for Higher Education (WICHE). SREB believes that states within a region, working together and agreeing on terms of engagement and collaboration, can trust one another to work cooperatively and consistently toward reciprocally accepting each other’s authorization of institutions to operate. Interstate recognition within a region also would extend to cover all participating states regardless of region. Trust becomes a guiding principle for a state authorization reciprocity agreement — and requires confidence that each partner take seriously its responsibilities to authorize only institutions that provide high quality education, whether through traditional campus classroom experiences or through technology-mediated or off-campus based experiences. SARA establishes reciprocity between willing SREB member states that accept each others’ authorization of accredited institutions to operate in their states to offer educational services beyond state boundaries. Participation in this agreement is entirely voluntary. This agreement is intended to facilitate expanded access to high-quality distance education opportunities for students by improving state policy and operational mechanisms. This agreement applies only to educational services provided by institutions outside of their home state boundaries. It in no way affects the unique processes that states may use to authorize an institution to operate or to exempt an institution from oversight within its own state. Participation at the institution level is voluntary as well. Institutions that do not wish to subject themselves to the level of oversight consistent with interstate reciprocity may choose either not to provide educational services beyond the boundaries of their state or to seek separate authorization to operate in states in which they wish to offer educational services. Significant benefits will accrue to institutions, states and students if the current lack of uniformity in the patchwork of state regulation can be improved through sharing common, high-quality and consistently applied processes and standards. Institutions will reap financial benefits by no longer having to engage in the confusing and duplicative process of seeking approval to operate on an individual, case-by-case basis in each state in which they serve students. States will benefit by maintaining their rights and responsibilities to assure quality programs are offered by institutions within the state. States also will benefit by focusing their limited resources on the oversight of institutions within their state, regardless of where that institution serves students. As the number of institutions serving students in multiple states continues to increase, state regulatory offices would find it difficult to conduct meaningful reviews and ongoing oversight of the hundreds, if not thousands, of out-of-state institutions operating in their states. Students will benefit because lower costs for institutions will mean fewer costs passed on to them. Some students are finding their options limited as institutions choose not to serve students in states with onerous authorization requirements. Since regulators will focus their reviews on their home-state institutions, they will have more confidence in the review process and that complaints will be handled and resolved. Ultimately, the quality of postsecondary education is reflected in the outcomes derived from education. But quality outcomes result from quality processes, and state authorization must focus on both the processes that enable students to acquire the pertinent knowledge and skill as well as the outcomes that demonstrate the acquisition of knowledge and skills. In administering the national reciprocity agreements among its member states, SREB will build off the experience in SECRRA to move states to the adoption of SARA. The timeframe to report distance education enrollments and out-of-state learning placements is May 14-June 4, 2019. All data reporting information can be found on the Data Info tab on the NC-SARA website. For your convenience, each institution’s SARA contacts will be sent a URL link to a web form on or around May 14, 2019. Please verify with your SPE that your institution’s SARA contact information is up to date. Colleges and universities in the SREB region save about $30 million annually by participating in SARA, according to estimates in a return-on-investment study by the National Center for Higher Education Management Systems. SARA, the State Authorization Reciprocity Agreement, is a nationwide system to offer more high-quality distance education programs for students and ease regulatory burdens on institutions. SREB compact states may participate to offer distance education activities in other states. For the purposes of SARA, Pennsylvania, Puerto Rico, Washington, D.C., and the U.S. Virgin Islands affiliate through SREB. On November 8, 2018, the State Council of Higher Education for Virginia hosted its fourth annual SARA Advisory Committee Meeting in Richmond, Virginia, for 59 educators and compliance professionals from 44 of its SARA-approved institutions, as well as 13 other attendees that included guest speakers and representatives from SARA-related agencies. How Should Distance Education Look on Your Campus? On November 6, 2018, the Pennsylvania Department of Education hosted 38 postsecondary institutions at its third annual SARA workshop on the campus of Pennsylvania State University. PA-SARA extended its invitation to fellow SREB postsecondary institutions and educators from The University of Alabama at Birmingham traveled long-distance to participate in the workshop. Puerto Rico was approved by the Southern Regional Education Board to join the State Authorization Reciprocity Agreement (SARA) on June 6, 2018. This approval brings nationwide SARA participation to 51 states and territories, which includes 49 states (with only California not participating), the District of Columbia, the U.S. Virgin Islands and Puerto Rico. On November 29, 2017, PA-SARA held its second annual state authorization workshop on the campus of Pennsylvania State University for post-secondary educators and staff, in an effort to provide clarity on the benefits of SARA. At the center of this workshop was information on compliance standards and reporting requirements of SARA and other related distance education regulations. Over 50 PA institutions interested in the protection of their students studying through distance education were represented. Florida was approved by the Southern Regional Education Board to join the State Authorization Reciprocity Agreement (SARA) in August 2017. This approval brings the number of participating states to 48, plus the District of Columbia and the U.S. Virgin Islands. The Southern Regional Education Board renewed Alabama, Georgia, Maryland, Mississippi and Texas for participation in the State Authorization Reciprocity Agreement (SARA). States renew SARA participation every two years, and the institutions within those states renew annually. More than 1600 institutions have been approved for NC-SARA participation, and their renewal rate is 99 percent. Effective June 30, 2017, SREB will no longer operate the SREB Electronic Campus Regional Reciprocity Agreement (SECRRA), based on the expectation that the opportunities for students provided in SECRRA will continue through SARA membership. The National Council for State Authorization Reciprocity Agreement (NC-SARA), developed a voluntary, state-level reciprocity process that takes the place of the regional agreement. With SECRRA dissolved, the Academic Common Market/Electronic Campus programs will also be affected. USVI officially joined SARA on June 6, 2017, as an SREB affiliate. For more information on the USVI distance education agreement, please go to http://viconsortium.com/virgin-islands-2/uvi-board-of-trustees-approve-university-online-degrees/. Also, Arkansas, Oklahoma and Tennessee’s participation was renewed. Kentucky and Pennsylvania were approved by the Southern Regional Education Board to join the State Authorization Reciprocity Agreement (SARA). These states bring the number of participating states to 44, plus the District of Columbia. Louisiana, Virginia and West Virginia were renewed as SARA participants. 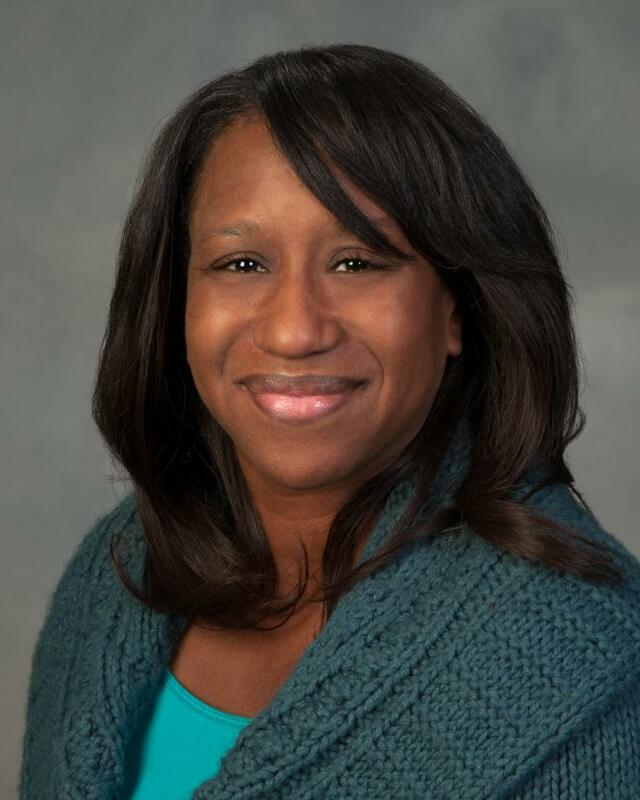 Alana Boles, Arkansas Department of Higher Education was elected Chair of the SREB SARA Steering Committee. West Virginia State University is the 1,000th institution to participate in the State Authorization Reciprocity Agreement (SARA), a nationwide initiative of states and institutions that makes distance education courses more accessible to students across state lines and makes it easier for states to regulate and institutions to participate in interstate distance education while improving consumer protection. Atlanta, GA — This week, Alabama, Georgia, Maryland, Mississippi and Texas were approved by the Southern Regional Education Board to join the State Authorization Reciprocity Agreement (SARA). These states bring the number of participating states to 34, with over half of the SREB states now participating in SARA. Atlanta, GA — Arkansas, Oklahoma and Tennessee were approved by the Southern Regional Education Board this week to join the State Authorization Reciprocity Agreement (SARA). These three bring the number of participating states to 27. Information to help people think about how to implement SARA in their states. The State Authorization Reciprocity Agreements deal with state approval of postsecondary distance education, a complex topic. Each state regulates around those issues in widely varying ways. A set of common, widely accepted policies and procedures that states voluntarily adopt will increase access, improve efficiency, lower administrative costs and support quality. That is the core task of the SARA initiative. Louisiana, Virginia and West Virginia have been approved by the Southern Regional Education Board as the first SREB region states to become members of the State Authorization Reciprocity Agreements (SARA). Virginia has an effective operational date of today; Louisiana and West Virginia have an effective operational date of December 1, 2014. State lines don’t matter much to students who take online college courses. A Florida undergrad can supplement coursework with an online class from a Texas college. A North Carolina mom can update her workforce credentials in a degree program from a Georgia university. And both of them will have the same quality experience online as students in those colleges’ home states. They won’t be alone. The 2013 Babson Survey Research Group reveals the number of higher education students taking at least one online course has now surpassed 7.1 million. The 6.1 percent growth rate, although the lowest for a decade, still represents over 400,000 additional students taking at least one online course.